What affects mobile app conversions? Content, relevance, and UX. Since the first two are quite achievable, UX has always been a tricky thing to master. We’ve already touched on the mobile app UX in one of our previous articles. Here we stated that poorly-designed layout and mobile app navigation can become a roadblock for SEO and user retention. 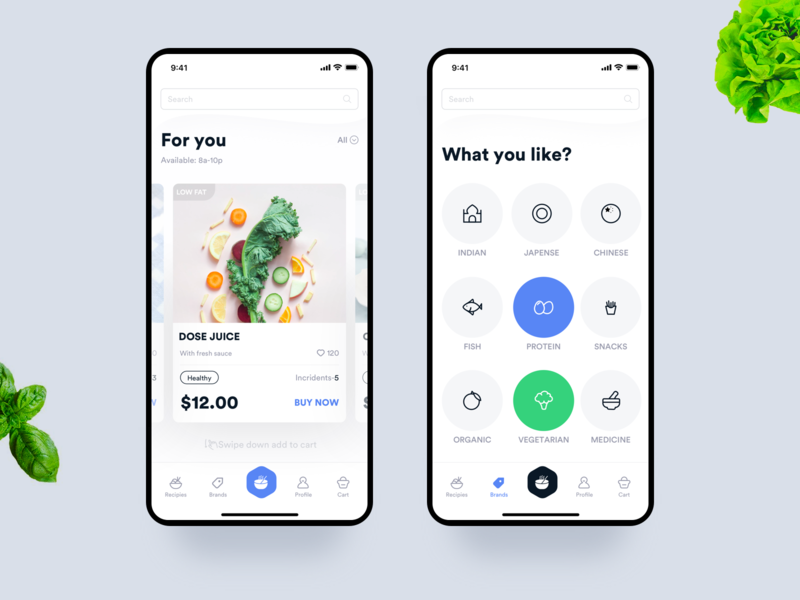 In this article, we’ll elaborate on the basic types and principles of mobile navigation design, and provide 10 best practices in making app menus. What Is Special About Mobile Navigation? The limitations of the small screen pose a difficult challenge to designers: they need to make navigation accessible and avoid occupying too much space at the same time. Multiple approaches to mobile navigation sacrifice either content or reachability of a menu. What does a good mobile menu do? A menu gives visual cues (Where am I?). A user should know where he is. It doesn’t mean the menu should be sticky. Rather, navigation in a mobile app should draw a clear line between main and secondary categories, any of which have unambiguous labels. It offers the options of where to go next (Where else can I go?). Not only does it provide a user with possible directions, but it also positively affects the app’s discoverability and leads to the landing pages where a user converts. It provides the value (What will I find when I get there?) Users want to know what they should expect once they have clicked. A good menu never misleads the user and never leaves a feeling of frustration. 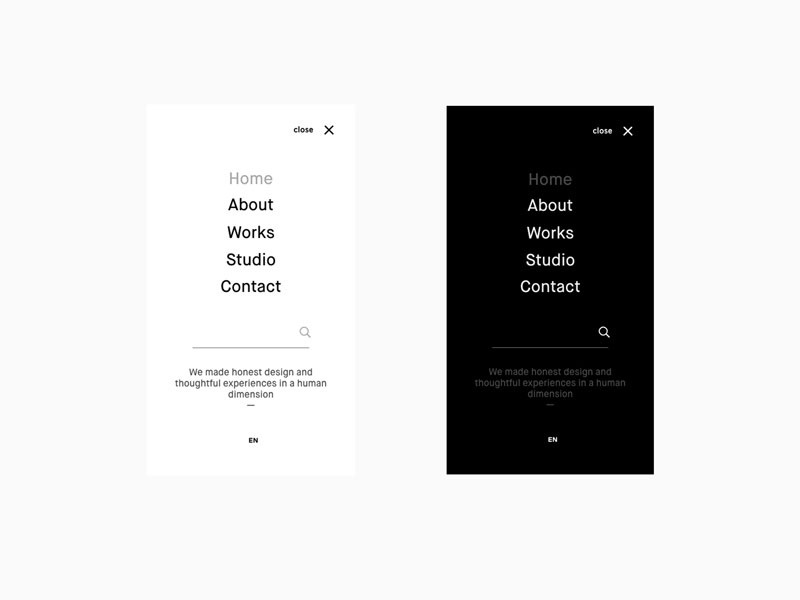 Before you design mobile navigation, take a look at the information architecture you have developed. Which categories should be displayed first? Which pages are secondary in the hierarchy or less important? Think of the actions that people perform more often and give users a fast and intuitive way to reach their goals. There are several ways to implement the top-level mobile navigation in an app. Let’s see the most common options. Designers’ debates around the hamburger menu usability persist. Some talk about its low discoverability while others claim it can accommodate a large number of categories in a small space. To take either side, you can check out our article about the pros&cons of hamburger menus. A side drawer is one of the most common patterns of the interface design that is hidden behind the hamburger icon. 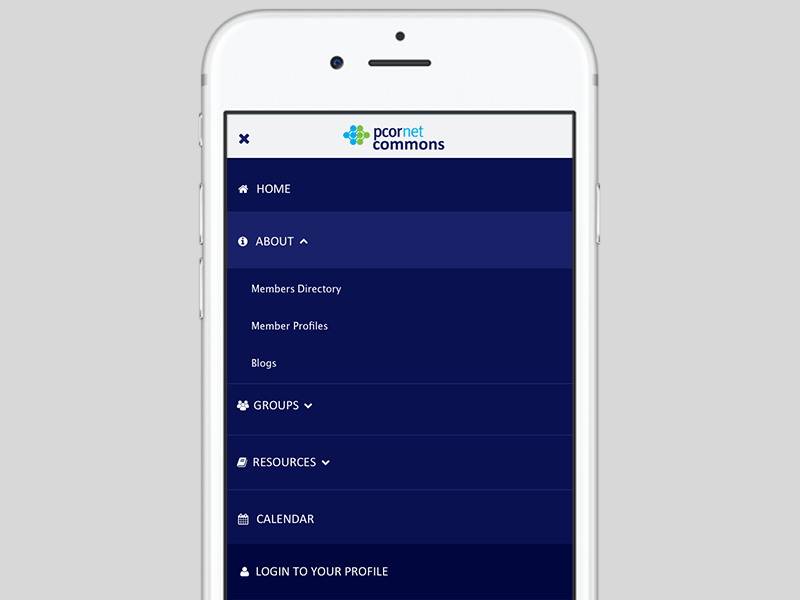 There are also a number of navigation options that will freshen up the app’s look and feel. content-heavy pages (to save the screen space). Fixed tabs work well with no more than five categories in the menu, while scrollable tabs reveal more categories upon swiping. for quick switching between related categories. Tab bars usually contain three to five navigation menu categories stuck to the bottom of the screen. Each of the tabs should always contain an icon, sometimes with a short and consistent text label. Bearing in mind a thumb zone, the bottom mobile nav is a perfect solution when the device is held in one hand. for categories at the same level of the hierarchy. Card-based navigation is based on the surfaces that display top-level menu content on the home screen. Cards create an organized and consistent system within an app which is easy to scan and interact with. They remove the unnecessary clutter of subcategories which present in a standard side drawer menu. These are the most common top-level menu options for a mobile app. One may want to implement some creative solutions instead of the classic ones, however, it may hamper the usability of an app. Make sure your app has gone through 10 steps of usability testing before it goes live. 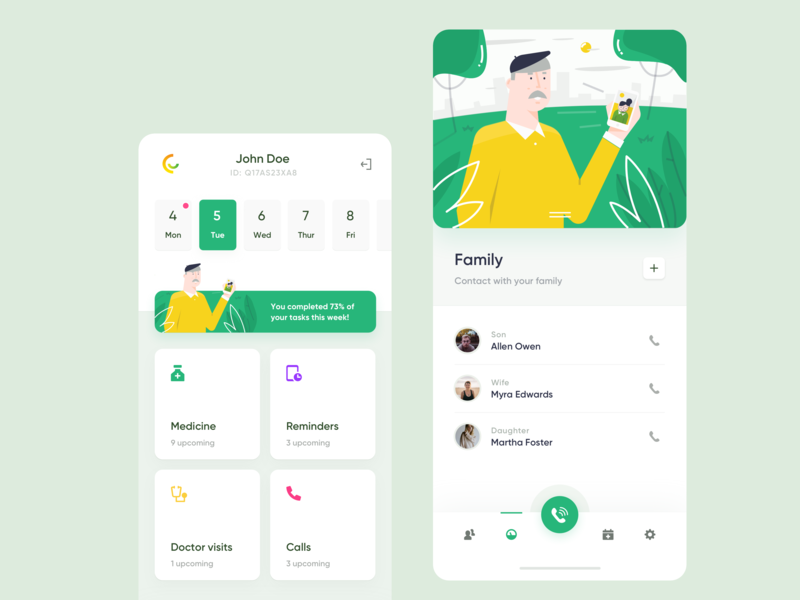 Many apps have more than one level of hierarchy in navigation and presenting parent-child relations in a mobile menu poses another challenge for designers. Submenus, or dropdowns, are the typical navigation pattern inside a side drawer. They work well with up to six subcategories of a menu. With more than six submenus inside the main category, looking for a necessary section can become frustrating. Sequential menus have the following logic: once one of the main categories is open, the main menu is replaced with the submenu of this category. To go back to the main menu, a user should tap a “back”. They are good for menus that have over six main categories. Contextual menus aren’t triggered by any UI element, like the hamburger menu. Rather, they belong to specific items in the interface and appear when a user taps and holds a finger. Menu labels should be brief and meaningful. Try to fit a text label on a single line; otherwise, don’t shrink a text to save space and replace it with an understandable icon. Decide on the most important pages the most common actions taken by app users. This will influence the items that are positioned first in your main menu, and it lets you add links and calls to action to the relevant places. Make sure users don’t have to go to the main page and lose all the unsaved info on the abandoned page. Add a back button on each screen that will take the user back one step. To make your navigation text easy to read, choose a font that naturally adds enough space to allow distinguishing between letters and is tall enough to be clearly read in a menu. The way you handle formatting such as bullet styles, capitalization, margins, captioning, and so on should also reflect what’s attractive to your audience and what is comfortable for them to read. Also, align text with sufficient color and size in order to show hierarchy. In scrollable menus, progress indicators are vital in order to display how the correct length of the list of categories or subcategories. They are also helpful in navigation within a single page, to show the length of the process. Hide the top bar when scrolling upwards, reveal top bar when scrolling backward. Transform drawers into hamburgers when scrolling. Show status indicators (unread messages, notifications) even when the menu is folded. Mobile devices are usually handled with thumb touch, which is why you need to consider the average space required by fingertips when deciding on the size of your menu. Ideally, designers should rely on at least a 44-pixel space (left to right and up to down) to tap on the item of the menu. Breadcrumbs can quickly spread to multiple lines in mobile apps, and take valuable space on the screen. Consider reducing them to the latest few items, so that no multiple lines clutter the display. The dilemma of sticky vs. dynamic navigation still persists, so here are a couple of tips on menu stickiness: stick menu if the navigation is very important and the app has few equivalent categories. Always stick down tabs (as they conform with the upper rule by default). There are two kinds of users: those who navigate and those who search. Well, probably some people do both. If you don’t have intelligent search in your app, you’ll lose a large number of users. What are the goals of the user? What is the best way to achieve them? The answers to each of these questions are key to successful mobile navigation strategy. Need help building such a strategy? Let us know in a live chat.